My Second Anime Wallpaper.I took this idea from ending of Death note. If you have ever seen this anime, you should remember it. 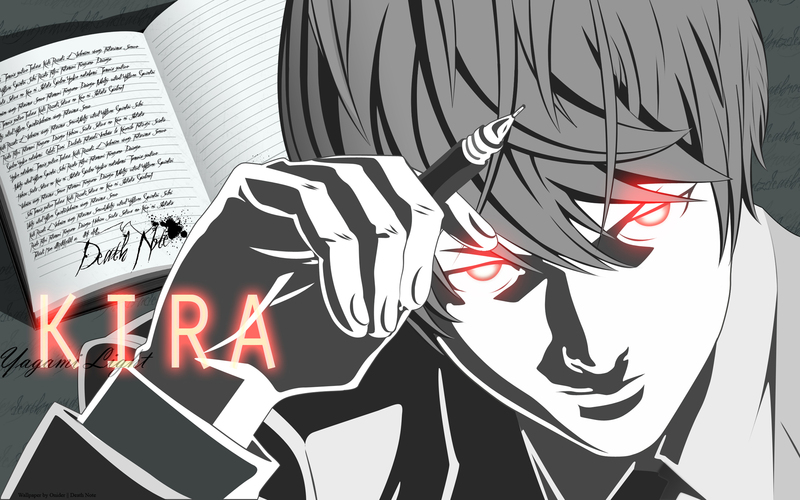 I change BG and some details of Yagami Light. This wall was made about 3 days ago. ????? ???????? ?????? ?, ?????-????? ??????????? ?????? ????????? ?????????. ??? ????? ????????? ????????????? ?, ?????????? ??????????! This wallpaper is very very good, the book behind Light is very nice. Good work, you are very strong. oh my word, its L! this is creative. simple and clean. i love it! I like the glowing effect here! Good job! The red really stands out. Nicely done. Cool wallpaper.. love the eyes.